Hello! 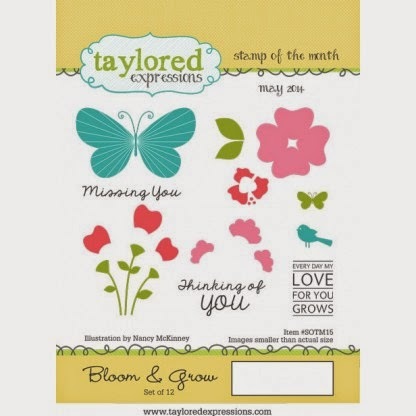 I have another card using the Taylored Expressions May Stamp of the Month, Bloom & Grow. 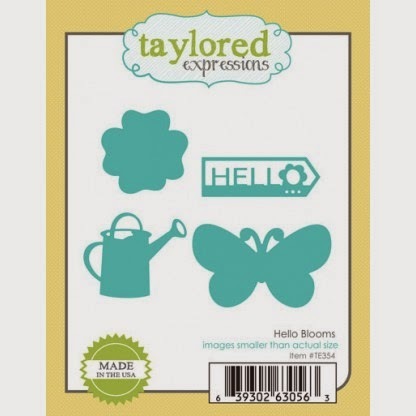 Accessories: Taylored Dies: Hello Blooms, Banner Stacklets 1 (TE); Standard Circle Nestabilities (Spellbinders), Gems, Foam tape, Thread, Sewing machine. 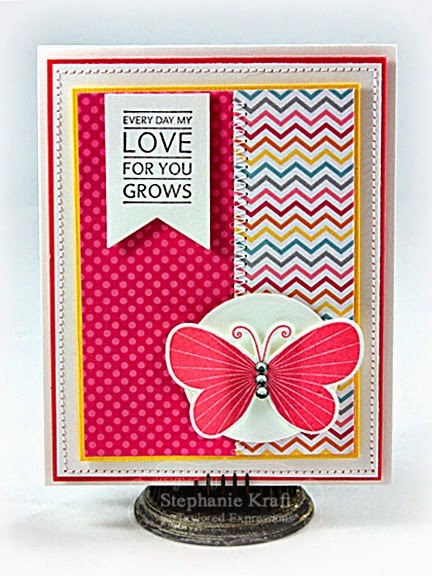 So pretty Stephanie! 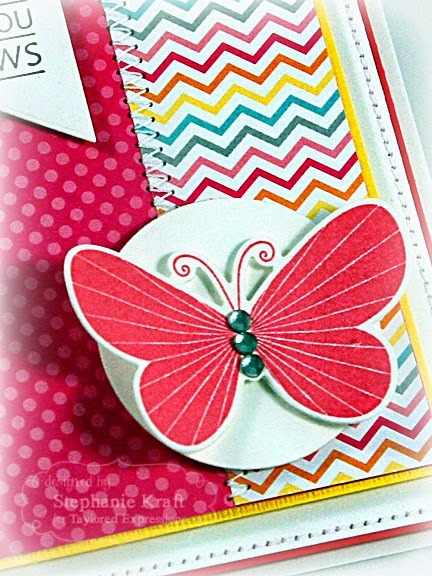 The butterfly looks fantastic!